One of the more iconic yet uniquely interesting features of the Australian Outback is the small mining town of Coober Pedy. Known for its remote location, fascination with opals as well as serving as the set for many Hollywood films, this quaint little town is famous for one thing above all – it is located almost entirely underground. Regularly receiving temperatures of around 50 degrees Celsius in summertime, the residents of this town learned long ago the easiest way to get by was to avoid the heat altogether, and began excavating the surrounding landscape to begin a new life underground. 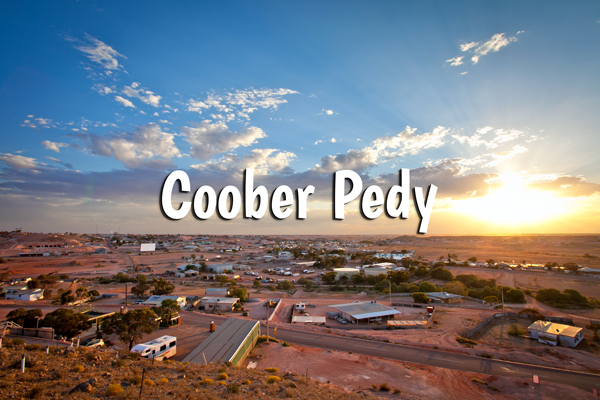 Cooper Pedy has several key features that make the town what it is. Beyond all has to be the network of underground homes and living areas that have been excavated and maintained by the locals for the amazement of tourists. These ‘Dugouts’ as they are known were all originally dug by hand and consist of everything from shops to places of worship and even underground camping. On the top of the list to see are Tom’s Working Underground Mine, Crocodile Harry’s Underground Nest and Anne’s Dugout Bed and Breakfast for an overnight stay and feed in an authentic underground hotel room. The town may be small, but there is no shortage of things to do. If you’ve come for the opals, you won’t be disappointed as the various museums and old mining tunnels in town allow you to get up close and personal with the mining history of the town, and a couple of mines will still let you go and dig for your own! Tom’s Working Opal Mine is best for this as you can dig for opals without a permit and get the experience of a multi-generational mining family to help you in your endeavors. Another must is a visit to the Moon Plain and the Breakaways which are located 2 hours from town. Sunrise and sunset are the best time to visit here as the morning and evening light casts some amazing colours across the rich desert earth creating an almost unearthly glow that make for some fantastic photo opportunities. It’s easy to see why these locations were chosen to feature in Mad Max 3 and Pitch Black. Finally, fans of the outdoors can be treated to a number of activities including the Oodnadatta Track, hiking at Lake Eyre and camping at Williams Creek. Perhaps one of the more quirky pastimes though would be a game of night time golf on the famous Coober Pedy golf course. The game is played at night time with glow in the dark balls and due to the extreme heat, the ‘green’ as it were is less of a regular fareway and more of a series of sand bunkers that make for an interesting challenge to the uninitiated. 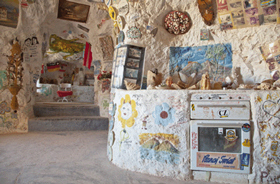 As a general rule, it is best to visit Coober Pedy outside of the summer months (i.e January & February) as temperatures can soar to well over 47 degrees Celsius. If this doesn’t phase you however, it is an amazing place to visit regardless of time and the underground accommodation will ensure that you are out of the heat for a decent proportion of your stay. There are several options for getting there, with the most popular being to hire a vehicle and drive the 800km out of Adelaide which should take you no more than a day. 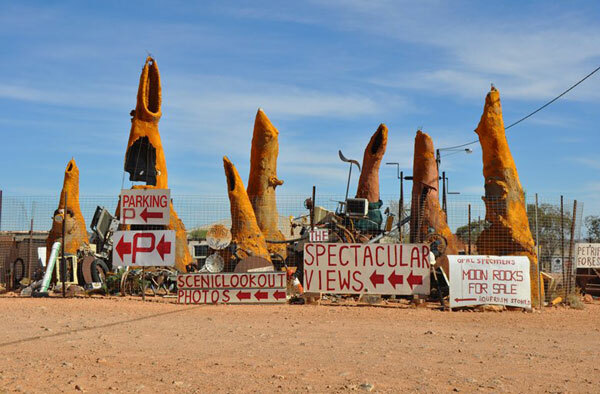 There are other options however, with tours buses, flights and even the old Ghan Railway line operating regular trips in from Adelaide all the way through to Alice Springs. So whether you’re keen to experience the outback or drawn to the oddly wonderful underground existence of the world’s biggest opal mining town, Coober Pedy is well worth a spot on your bucket list and is an experience that will stay with you for long after you leave.